Wheel Bug (Arilus cristatus), a member of the Assassin Bug Family, lying in wait for other insects to prey upon. A beneficial insect which attacks many soft bodied pest species, such as Japanese Beetles. 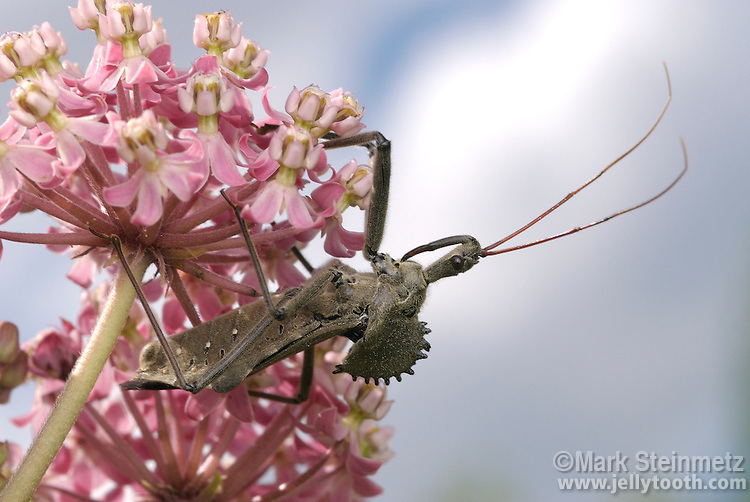 Wheel bugs are native throughout the Central and Eastern US and Canada. Defensive bites of Assassin Bugs are excruciatingly painful.